Which would you choose for your wall? The quaint sailing boats, the beautiful hot air balloons, the bright sunshine, the marvellous rainbow or the cute-as-a-button frolicking whale? The eleven colour choices are too hard to pick from as well, although I have a weakness for the yellow, pink and red ‘Mexico’ colours and ‘Alice’ which is full of delicious blues, pinks and red. If you have a blank wall in your child’s bedroom, or worse, a wall where an uninspired, ordinary piece of artwork currently hangs, then you’re bound to be excited and impressed by this fabulous addition to the ever-growing fabric wall sticker market: Mooo’s newest theme to their range of reusable wall decals, ‘Happy Days’. 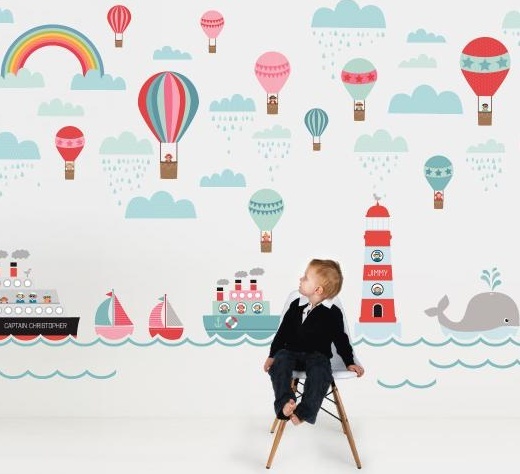 Being made by Mooo, who are known for their personalised products, means that the wall stickers can be completely personalised to your taste and budget! There are ten element choices, such as a lighthouse, hot air balloons, ocean liners and clouds. There are also plenty of colour choices so the end result will be perfect for a boy, girl or a unisex design. Prices start from $29.95 up to $404.70 for all ten elements. Best of all, Mooo offers a discount: spend $100 and get $10 off or spend $250 and get $35 off plus free shipping. 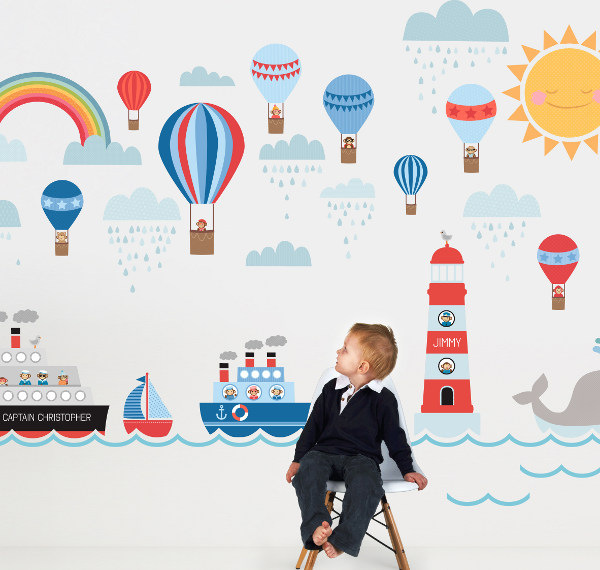 Zip on over to Mooo to check out all of the wall sticker themes and have fun creating a wall of happiness for your little one.